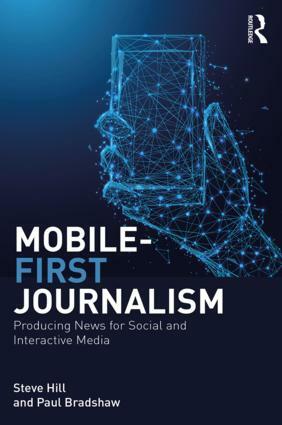 Just when I thought I’d put the 21st century newsroom to bed, along comes a further brainwave about conceptualising newsgathering in an online environment (the area I covered in part 2: Distributed Journalism). It seems to me that the first stage for any journalist or budding journalist lies along two paths: subscribing to a reliable collection of RSS feeds (and email alerts); and exploring a collection of networks. The first part is passive; the latter, more active. So I’ve called it, tongue-in-cheek, “Passive-Aggressive Newsgathering”. But if that sounds too Woody Allen for you, you could call it “Aggregating-Networking Newsgathering”. Not quite as catchy, though, is it? This is a basic requirement for any journalist: know the news sources – mainstream and blogs – in your specialist areas, and subscribe to their RSS feed using any of the many RSS readers out there. The result should be a one-stop page that you check into every morning that aggregates any new stories since you last checked. You may want to develop further strategies, such as folders for different areas, or for feeds that you check every day, every week, or less often. But some RSS readers do more than just allow you to subscribe to feeds – they have social elements. Google Reader, for example, will “recommend” feeds you might be interested in (in a panel on the right of the screen), based on the feeds you already subscribe to (and what their subscribers also read). Bloglines, in addition, allows you to click on any of your feeds and see others who subscribe to that feed – and what other feeds they subscribe to (see image below – although this feature doesn’t appear to be included in their latest beta). Other readers will have similar functions (if they don’t, consider switching reader – you can export your subs across very easily). This is a great way to find new sources of news and information. Microblogging service Twitter is a particularly up-to-the-minute source of news – again, with RSS feeds you can subscribe to, as well as mobile notifications. Twitter is by nature social – you choose to ‘follow’ someone’s ‘tweets’ (updates); and people choose to follow you. You can see who someone is following, and who is following you. There are also tools like Twubble, which will recommend twitterers based on your friends, and Twits Like Me, which recommends twitterers based on interest. These can lead to useful contacts and sources of news you might not otherwise have come across. A good way to find Twitterers in your area is to look for links on their blogs and article pages, while Twitter is searchable too. But that’s just the start. You can search Twitter itself for specific people, but if you’re covering a local patch, Twitterlocal allows you to subscribe to an RSS feed of tweets within a certain geographical radius, while specialist reporters should subscribe to results of relevant keyword searches using Tweetscan. If you know an event is coming up that is likely to spark protest (e.g. the running of the Olympic torch) then it’s a good idea to set up this feed in advance. Bookmarking sites like Delicious, Digg and Reddit (plus all of these) are a goldmine of information and leads. As well as being searchable, most offer RSS feeds of individual tags, contributors (anyone who uses the site to bookmark webpages), and networks (collections of contributors). At the very least, a journalist should be subscribing to feeds of keywords in their area (e.g. this is the feed for the tag ‘social bookmarking’), and if possible, prolific bookmarkers interested in the same topics (here is the feed for my bookmarks) or networks of bookmarkers (here’s mine). But to do the latter, journalists need to use the sites themselves – the more active you are, the more you will get out. Every time you bookmark a webpage, you can see who else has bookmarked it (see image below). You can see who bookmarked it first (and is therefore potentially the quickest source). You can see their comments, and the tags they use. You can see what else they’re bookmarking. And you can add them to your network so you’re kept up to date on what they’re bookmarking generally. All of this can generate more useful contacts (the bookmarkers), more sources of news, and more understanding of your area. Journalism is all about contacts. Social networks are a fantastic way of finding and managing them, whether those are existing contacts, contacts of contacts (which you can now see), or members of relevant interest groups (the Online Journalism Blog Facebook group is one you may consider joining ;)). You may want to join more than one social network: Facebook is a good catchall, but LinkedIn is good for more professional networking, while there may be specific ‘beat’ networks you can join – such as for doctors. Alternatively, you can create your own using Ning. One great feature of Facebook is its feeds, which include Friends Status Updates and Friends Posted Items (both in the lower right corner). Again, subscribe. Google’s whole success is built on social media: its rankings are calculated (in part) from how many people link to a site. But it’s worth exploring other features too. Every result from a search, for example, will include a link to ‘similar pages’. This is a great way of refining your search. Similarly, the advanced search feature includes the ability to search for pages that link to a particular website. Meanwhile, it’s basic journalism practice now to set up email alerts for particular search terms. You can do this through Google Alerts – the default setting is ‘Comprehensive’, but it’s better to use the drop-down menu to select the more specific ‘News’, ‘Groups’ or ‘Blogs’. Alternatively, any search done through Google News or Google Blog Search or Google Groups will give you the option to sign up to email alerts or, for the first two, an RSS feed. For anyone who needs images or needs to talk to photographers, Flickr allows you to subscribe to feeds by individual photographers, or to particular tags (you’ll find them at the bottom of each page). But the site’s real strength is its social features. A simple search will bring you simple results – but click on any tag in those results, and you’ll be presented with a tag cluster (see image below). This draws on user behaviour to suggest other tags you might be interested in, as well as omitting irrelevant results. You can click through to results from the cluster, generate another cluster from another tag, or go to results from an individual tag. From there you can rank results based on recency or – another social feature – “most interesting”. And of course you can see a tag cloud of the most popular tags at the moment – a good way of getting a feel for the zeitgeist. If you’re more interested in people than pictures, clicking on any photographer’s profile will allow you to see their ‘contacts’ and groups, while you can browse profiles based on interests and other biographical information (you can also search groups and people). Like Flickr, YouTube is a social beast. Click on any video and you’ll be presented with related videos; click on any user page and you can see who they subscribe to. You can rank results by how users have rated it, or how many times it’s been viewed. And you can click on a video’s tags to browse through content that way. The site also hosts a number of groups under the Community tab. In addition the site offers numerous feeds – a list of the main ones, plus instructions on how to create feeds for individual users or tags, can be found here. You’ll see the orange RSS icon throughout Technorati – you can subscribe to headlines and ‘rising posts and stories’, and filter by ‘attention’. You can subscribe to results from a particular search, or a specific tag (a motoring correspondent, for instance, might subscribe to search results for “Longbridge plant”, or the tag ‘Ford’). You can even subscribe to blog reactions to a particular site. Equally impressive are the social features. Search results are presented with recommended tags you might also want to click on; blogs and posts are ranked by ‘authority’ (numbers of reactions); and you can see which Technorati members have declared themselves a ‘fan’ of a blog – then browse through the other blogs they’ve ‘faved’. And like Flickr, you can get a flavour of “what’s percolating in blogs now”. Finally, it’s worth noting the social and RSS features of books community LibraryThing. As well as the traditional author and title fields, the search facility allows you to search by tags, members, groups and talk messages. You can then subscribe to a feed of results for that search, or to a feed for a particular member, group or tag. It’ll come as no surprise that the site also offers related tags and members whenever any search is made, while the site’s groups offers one way to find leads and contributors. Aside from the feeds there are plenty of social elements at coComment – you can browse tags, look at popular ‘conversations’, join groups, or browse commenters themselves. Some journalists might think it’s too early for coComment to be useful to them – at first glance, most ‘conversations’ appear to be in the technological sphere – but getting in there early and spreading the word could give you a significant advantage as the technology spreads. All this, however, is only laying the foundations for having your ‘ear to the ground’ – saving yourself time through use of RSS, and generating contacts and engendering serendipity through social media. No doubt I’ve omitted some RSS and social service-providing sites (for example, other RSS readers, while a social podcasting service must be out there) – and overlooked some tricks on the above sites. I’d love to know your recommendations and tips. 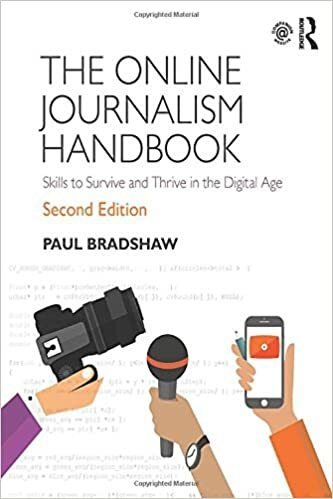 This entry was posted in online journalism and tagged 21st century newsroom, Bloglines, cocomment, flickr, google alerts, google groups, google reader, librarything, ning, RSS, RSS readers, social media, technorati on April 21, 2008 by Paul Bradshaw. RSS + social media = “Passive-Aggressive Newsgathering” He has provided you a detailed newsroom plan,,,,just plug-in your content..Sooner or later the masses will realize that this business model is more powerful than traditional media. I feel like I just graduated from Harvard. Nice collection of stuff, especially for newer (or maybe not so new) blogger. Looks like the link for Summize Twitter search didn’t post in the last comment. The link for Summize is here. Great article. A sort of RSS skydiving. I would mention Pearltrees too (http://www.pearltrees.com/) as it lets you discover related interests and pearls added by other users. Thanks – the RSS converters are particularly useful. Also IFTTT. May I just say what a relief to discover somebody who truly understands what they’re talking about on the web. You certainly realize how to bring a problem to light and make it important. More and more people need to check this out and understand this side of your story. I was surprised you’re not more popular since you surely possess the gift.